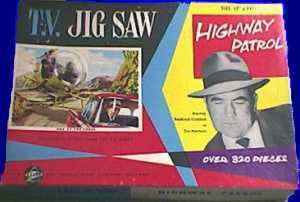 This show from the early 1950's was based on one of radio's first great comedies (1920's vintage on NBC). The principal actors on radio, Charles Correll and Freeman Gosden; who were white; played a pair of black neer' do wells, and when publicity photos were taken, were portrayed in blackface, a la Al Jolson in the first talkie movie 'The Jazz Singer', from 1927. By 1953, The CBS network decided that "A & A" would make a good TV series. Obviously, Cordell and Gosden could not reprise their radio roles, and the show was cast with a completely black cast. While the series garnered good Nielsen ratings, there was an outcry against the stereotypical portrayals of blacks; while common in the 20's and 30's; was not quite kosher at the birth of the American Civil Rights movement. 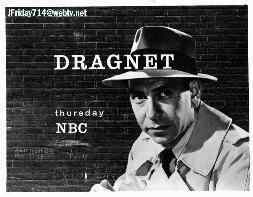 By 1955, CBS brass not only pulled the plug on the series; but banned any syndication of the series. Only in the last few years have episodes of 'A & A' been made available to American audiences, primarily through the Columbia House mail-order firm though tapes can only be ordered in the NTSC format which is standard in North America. Starred Lucille Ball as Lucy Ricardo, Desi Arnaz as Ricky Ricardo with Vivian Vance as Ethel Mertz, William Frawley as Fred Mertz and Richard Keith as Little Ricky. The supreme situation comedy of the fifties, I Love Lucy was one of the first ever programmes shown on fledgeling ITV in Britain in 1955. 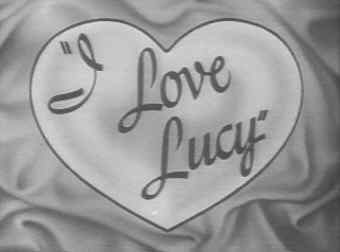 The premise of I Love Lucy was not dissimilar to other family sitcoms - wacky wife making life difficult for a loving but perpetually annoyed husband. Lucy Ricardo was an American of Scottish ancestry (maiden name MacGillicuddy) married to a Cuban bandleader. 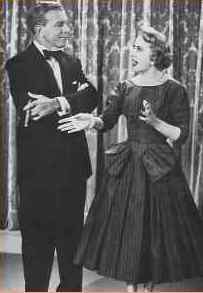 Husband Ricky worked at the Tropicana Club and since Lucy was keen to prove to him that she could be in showbusiness too, he spent much of his time trying to keep her off the nightclub stage. imported cop series on ITV in the 1950's. 'The story you are about to see is true. Only the names have been changed to protect the innocent'. 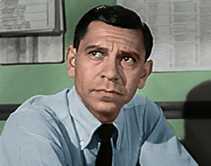 This dramatic warning introduced every episode of Jack Webb's hyper-realistic Dragnet. 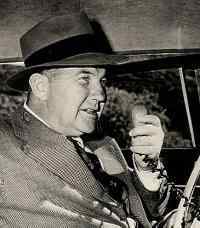 Authenticity was assured by using cases actually pulled from files of the Los Angeles Police Department, with many of the walk-on parts played by those involved in the real crime. 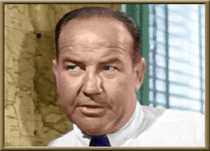 Starred Broderick Crawford as Chief Dan Matthews. 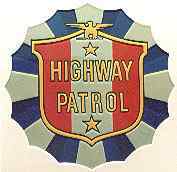 Burly, gravel-voiced Crawford, chief of the Highway Patrol in a series that was one of the most popular syndicated programmes in TV history. Patrol-cars, motorbikes and helicopters helped the action along but it was the way fast-talking Dan Matthews leant against his patrol car to radio to headquarters that really captured the public imagination. 'Ten-four' (message received and understood) and 'Ten-twenty' (report your position) became catchphrases around the world. 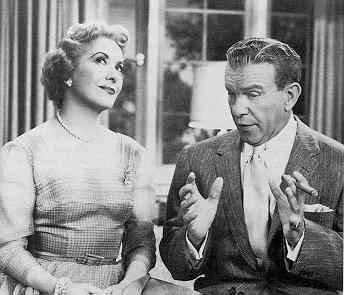 Starred Joan Davis and Jim Backus as Joan and Brad Stevens. 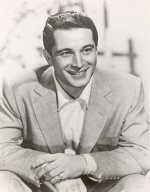 'The Perry Como Show' - Mr. Nice Guy, with the mellow, easy manner. 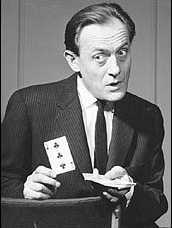 'Chan Canasta' - Famous for his sleight of hand in front of the camera with the cards. 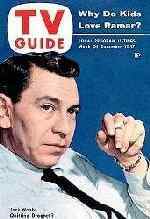 His first show was with BBC in January 1953 and he had his own series once again with the BBC in 1959. 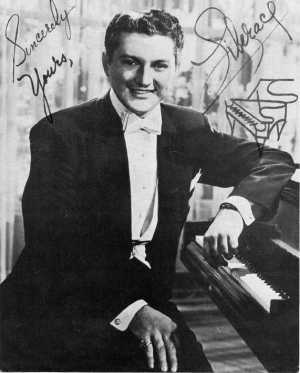 Liberace - who played the piano regularly on Sunday afternoons, with a large candelabra balanced on the piano. The candelabra, piano and many other artifacts can be found at the Liberace Museum in Las Vegas. 'The O. Henry Playhouse' (1957) starred Thomas Mitchell. Series about the author O. Henry (the same one who wrote the Cisco Kid). 'Cannonball' (1958-59) - "The rumble of the diesel, the shifting of the gears, name your destination, and brother, he'll be there, Cannonba-a-a-ll, Cannonba-a-a-all"
This was a series of half-hour family dramas about the adventures of two truckers who hauled freight on the highways of Canada and the U.S.A. U.S. actors Paul Birch and William Campbell played Mike Malone and Jerry Austin in this Route 66 on eighteen wheels. Canadian talent played supporting roles. Beth Lockerbie was Mary Malone, Mike's wife, and Beth Morris and Steve Barringer were Ginny and Butch Malone. 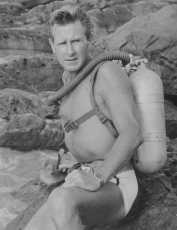 Howard Milsom portrayed dispatcher Harry Butler. Other Canadian character actors who appeared in the show included Ruth Springford, Alfie Scopp, Sylvia Lennick, Eric House, and Cy Mack. 'Hey Jeannie ' / 'The Jeannie Carson Show' (1956-57) - a series about a Scotswoman who emigrates to New York City, whose first contact, a cab driver who drives her from the airport, becomes her U.S. Sponsor. So she lives with him and his sister and gets a job as a waitress in a donut shop. 'Victory at Sea' (1952) - US wartime documentary series 26 episodes x 30 min bw.The story of the battle for sea power during World War II (1939-45) produced by Henry Salomon in co-operation with the United States Navy. Original musical score by Richard Rodgers played by the NBC symphony orchestra arranged and conducted by Robert Russell Bennett.